Visit Ambleside homes for sale for the current listings of houses, duplexes and condos in this popular southwest Edmonton neighbourhood. The average selling price for a home in Ambleside this year is currently $528,399. 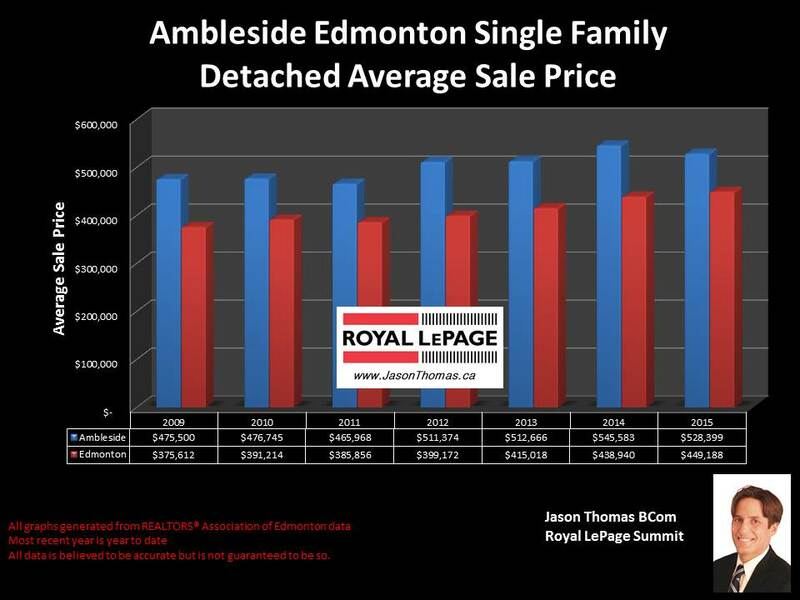 That is off the 2014 pace where Ambleside had an average sold price of $545,583. The average time to sell a home in Ambleside in 2015 has been 51 days. That is slower than the Edmonton average days on market this year of 43 days.The highest price that a home has sold for in Ambleside this year has been $780,000, and the most affordable single family detached home sold for $385,750. In the Ambleside duplex market, the average sold price in 2015 has reached $422,479. On average, it is taking 61 days to sell a duplex in Ambleside. The Ambleside condo market currently has an average selling price of $259,188 with an average time to sell of 51 days. The condo complexes that have had sales in them this year in Ambleside include: Eve in Ambleside, Infusion, Ion in Ambleside, L'Attitude Studios and Signature at Ambleside.